Revelation The last time I rode a snowboard was more than ten years ago – prior to my celiac disease diagnosis. 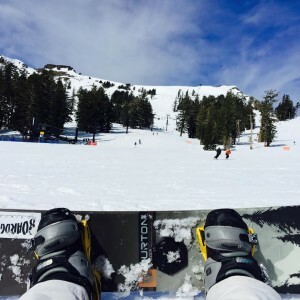 After my diagnosis, life got busy and snowboarding was put on the back burner. I was fortunate enough to be back in the mountains recently and back on a board. As I was leaving the mountain for the day, what suddenly struck me was how good I felt. And how much easier it was to ride for an entire day – even though it was ten years and three children later. The stark difference between now and then: my celiac disease is diagnosed and treated and I am well. How lucky I am compared to the 2.5 million Americans who are still undiagnosed and suffering. Like many others, I lived for years with fatigue and strange symptoms, continually rationalizing the symptoms and telling myself to push on. Turning the tables So, I thought this was a perfect time to reflect on the positive aspects of having a celiac diagnosis, a perspective that is rarely addressed in blogs, support groups and books about celiac disease and the gluten-free diet. Naturally, the focus of professional and peer support tends to be on the negative aspects of the disease because we all need help with the daily challenges, lack of knowledge in the medical community, ongoing health issues and social misperceptions. But today I would like to turn the tables and focus on the positive aspects of knowing you have celiac disease. How can taking that perspective impact your health and enrich your life? 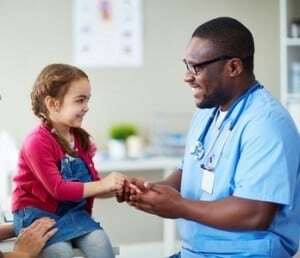 What a positive attitude can do Medical literature confirms that attitude and perception have a tangible impact on wellness. For example, one study found that Parkinson’s patients who had a tendency towards optimism had a better quality of life and improved medical and psychological outcomes. If you are a fan of TED talks, as I am, there are many that discuss the effects of positivity on productivity and wellness. Check out this popular TED talk on how happiness inspires us to greater productivity for useful information and a laugh. Laughter is good for the spirit as well. 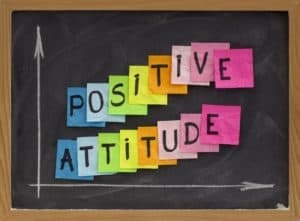 People with positive attitudes recover faster, are sick less often and are happier. Although there is little scientific data correlating a positive attitude with a better outcome for celiac disease patients, it is reasonable to assume from related studies that a positive attitude about your celiac diagnosis will bring about positive change and improved health. A study by doctors at U.C. 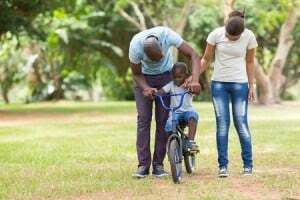 San Francisco found that children who had attended a week-long celiac camp demonstrated improvement in well-being, self-perception and emotional outlook. It’s not all rosy It is important to remember that not everyone with celiac disease fully recovers their health with only the initiation of the gluten free diet. In fact, up to 40% still suffer from ongoing symptoms for a variety of reasons. For these patients, approaching aspects of their illness in a positive light, when possible, is even more vital. It may give them the fortitude to continue to search for the cause of their persistent symptoms. Ten reasons to be grateful for your celiac disease diagnosis. 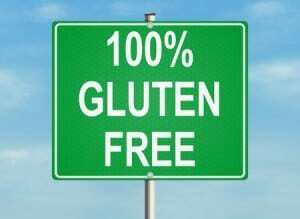 It is estimated that 2.5 million people in the USA have celiac disease and are undiagnosed. Diagnosis is the first step to wellness. Be grateful for your path to diagnosis, whether you requested testing or someone else thought to test you. The symptoms of celiac disease vary greatly from one person to the next, but fatigue seems to almost always be present. Improved energy and a decrease in symptoms are undeniably among the top benefits of diagnosis. Many people suffer undiagnosed for years, often in isolation. A diagnosis brings you into a community that can finally understand what you have and are going through. 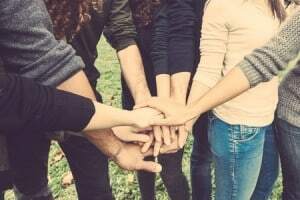 You have an immediate support system through national and local support organizations and online social networks. It is recommended that all first-degree relatives of someone diagnosed with celiac disease be tested, whether or not they have symptoms (that’s children, parents and siblings). Testing of symptomatic second degree relativesis also recommended (grandparents, grandchildren, cousins, aunts, uncles, nieces and nephews). Your diagnosis may help someone you love get diagnosed. I have seen this many times in my medical practice. Your diagnosis may help someone you know or even a stranger learn more about celiac disease. Knowledge increases awareness. Awareness increases the number of people properly diagnosed. Conversations like the ones you have with friends and coworkers, at the grocery store, or with restaurant staff, can lead to a diagnosis. The initiation and adherence to a strict gluten-free diet decreases your risk of developing conditions associated with celiac disease, such as osteoporosis and other autoimmune conditions. The sooner you are diagnosed, the lower your risk of additional diagnoses. While a gluten-free diet is challenging at first, with time it becomes your norm. No shots, surgery or medications are generally needed. 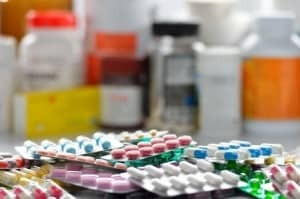 If you consider the treatment for many other chronic diseases, you may feel relatively fortunate. For many people, a diagnosis means the first time they have ever read labels or started cooking on a regular basis. Hopefully. this steers them to a healthier diet. 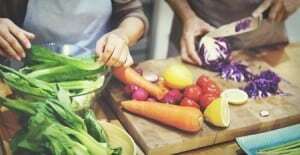 They may rely less on fast food and consume more whole, unprocessed foods. One can clearly follow an “unhealthy” gluten-free diet by relying on packaged or processed foods, but it is just as easy and less risky to take on the challenge of learning to cook. Even simple recipes can be delicious. 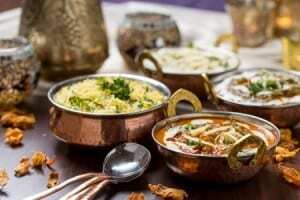 Ethnic cuisines such as Indian, Thai and Persian have many naturally gluten-free dishes. Alternative grains such as quinoa, millet, teff and buckwheat may now be part of your culinary vocabulary. You may never have ventured into trying these cuisines and foods without the need for a gluten-free diet. 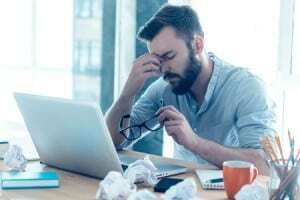 Those strange, unexplained symptoms you had prior to diagnosis, which may have been attributed by your doctors to a range of causes from stress to psychiatric illness, now have an explanation. They also typically disappear with initiation of a strict gluten-free diet. Please rest assured that I am not trying to minimize the struggles associated with having celiac disease; some days are difficult and occasional pity parties are allowed. But when those challenging days occur, try to remember these ten reasons to be grateful you are diagnosed. The burden of those difficult days just might lift a little faster.